You save $20.10 and receive the beautiful collection. What flower lover would not “love” this collection of beautiful florals by Stephanie Scott? 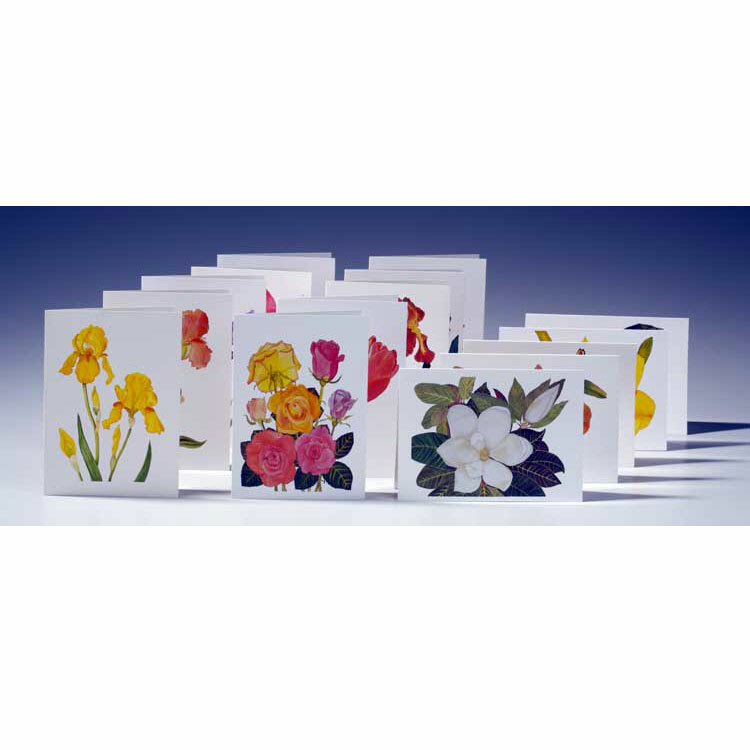 Each card comes with a written “Story of the Flower” which tells something about the flower and why Stephanie painted it. Packed for you in an attractive gift box with a stretchy gold ribbon. Packed for you in an attractive gift box with a stretchy gold ribbon. 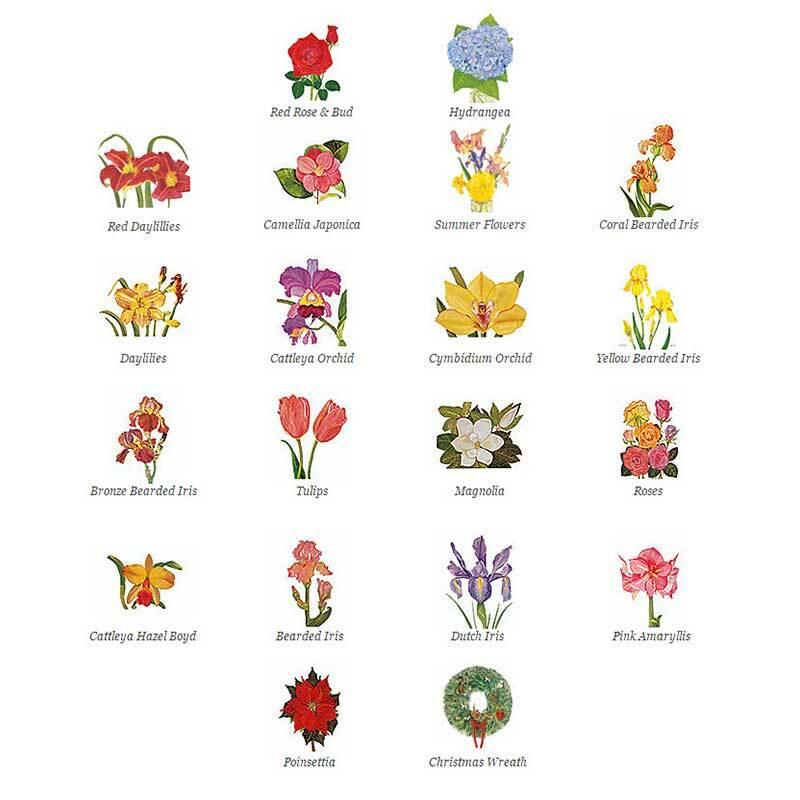 The cover card for the holiday will be either my wreath or poinsettia. 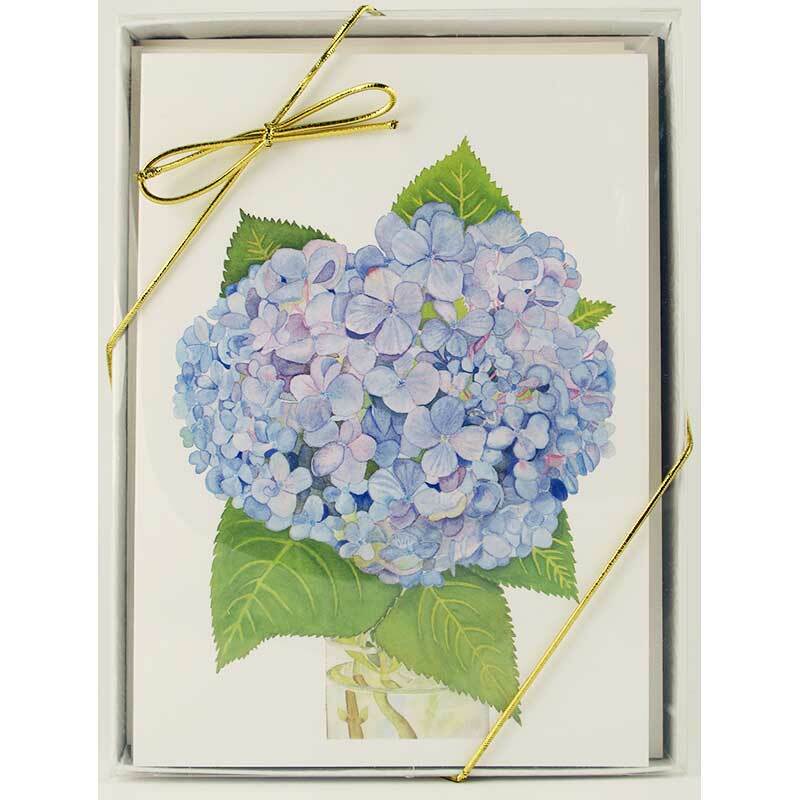 Example box with Hydrangea Greeting Card on top. Your top card may very.